The 3 USB Port Battery Power Pack is on sale for $18.99 at Amazon right now when you use promo code E9FTUSYM to save an extra $14. That's 58% off the list price of $44.99! 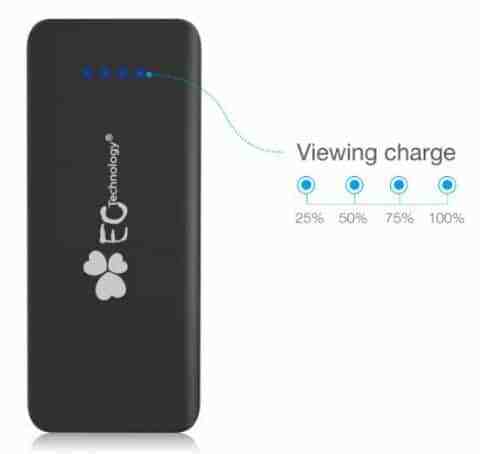 2nd Gen 22400mAh External Battery with higher efficiency rate delivers its fastest possible current. Portable size at 6.2 x 3.1 x 0.8 inch, 0.99lb. Rapid input charging: DC 5V 2A input (2A charger not included), twice as fast as normal 5V 1A input power banks, saving 50% of your time.